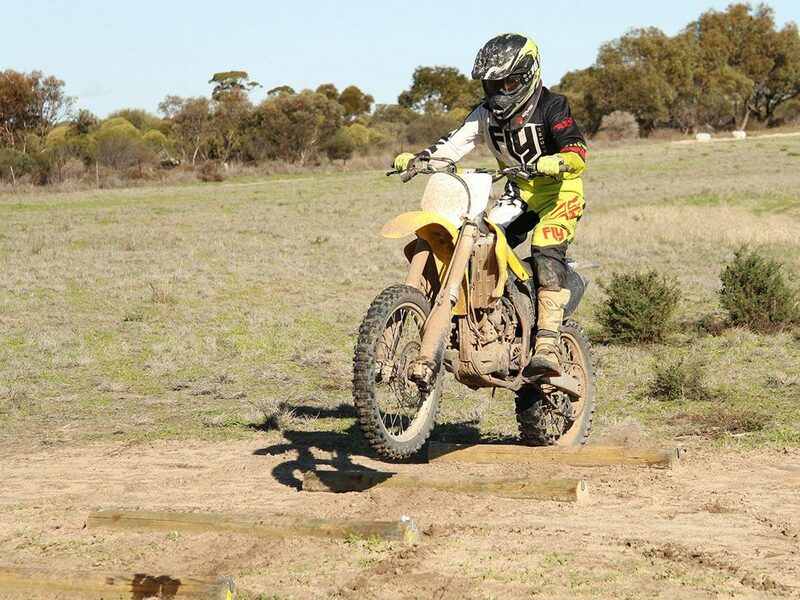 West Moto Park | The ultimate off-road family riding park just 2 hours from Perth, Western Australia. Please follow our Facebook Page to keep up-to date with all the latest news and offers! Welcome to West Moto Park! We are located in the Wheatbelt town of Wyalkatchem, 2 hours drive north-east of Perth, Western Australia, the perfect distance for your next getaway with family and friends. Featuring 3 dedicated riding areas and a 10km Enduro trail, there are plenty of choices for the whole family. We have a range of dirt bikes and quads available for hire that are suitable for all ages and riding abilities. 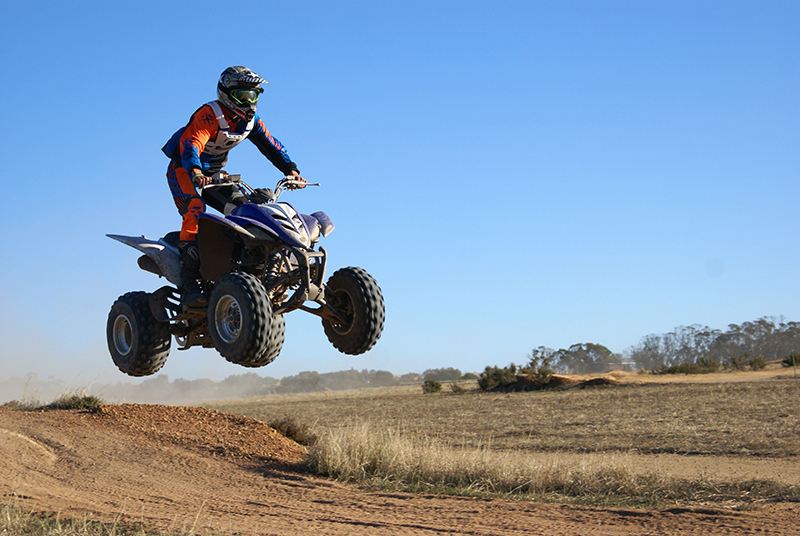 If you have your own dirt bike, quad or go kart, check out our tracks and track hire options. Our campground is large enough to accommodate swags, tents, caravans and motorhomes. Hot showers, clean drinking water and a cafe stocked with cool drinks, hot food, coffee and confectionary will help you enjoy your stay. 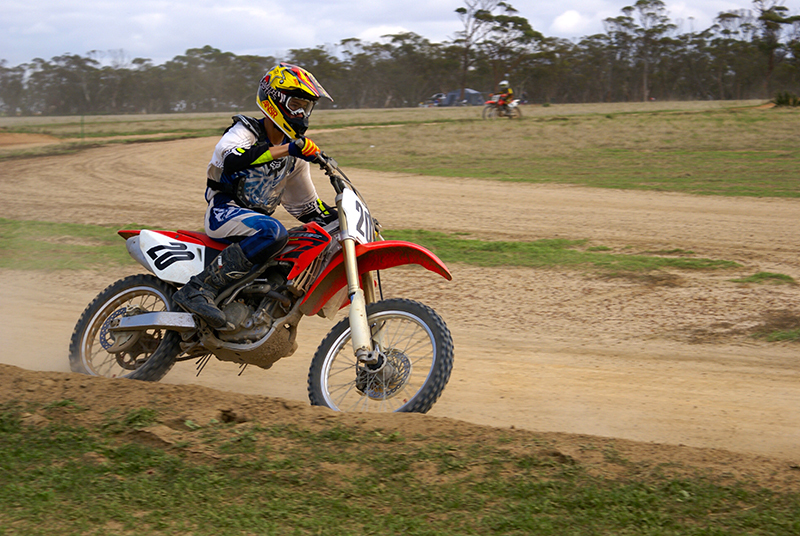 West Moto Park has a range of dirt bikes and quads available for hire, suitable for all ages and riding abilities. No licence is required and hiring a dirt bike or quad from West Moto Park includes a complete set of safety gear and full access to all of our tracks. Dirt bikes and quads can be shared between riders at no additional cost and we can give you some pointers if you don’t have any riding experience. If you’re planning an overnight visit, check out our campground and facilities. Our minimum safety requirements for all visitors to West Moto Park is the wearing of an Australian standard helmet and enclosed shoes. 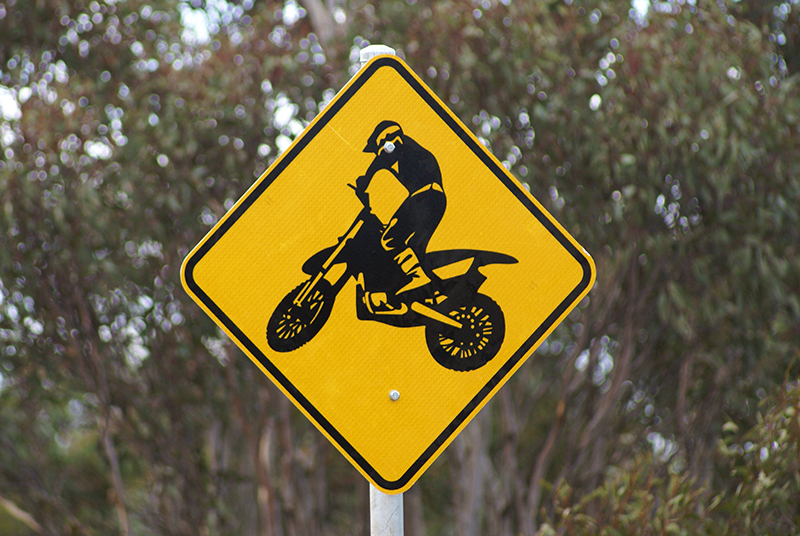 A full set of safety gear is included with every dirt bike or quad hired, including an Australian standard helmet, motocross goggles, motocross gloves, motocross jersey, motocross pants, chest protector/armour and boots. You are also welcome to wear your own safety gear or normal clothing providing it meets the safety standards. If you’re hiring a dirt bike or quad from West Moto Park, complete access to all of our tracks is already included. If you’re bringing your own dirt bike, quad or go kart, then check out our riding areas to get a glimpse of what your visit to West Moto Park will involve. Featuring 4 dedicated riding areas and a 10km Enduro trail, there are plenty of choices for the whole family regardless of your riding experience or ability. Dirt bikes and quads can ride on all of our tracks simultaneously and go karts are suitable on only a certain number of tracks. The Bike Park is where the going gets tough! Massive jumps, fast straights, and plenty of berms to keep your visit exciting. Featuring three tracks so suit beginner, intermediate and advanced riders, dirt bikes and quads are permitted in the Bike Park simultaneously. The beginner track is also ideal for visitors who wish to bring their go kart for a run at no additional cost. The Quad Park is heaps of fun on two or four wheels. Twisty tracks with plenty of jumps, the four Quad Park tracks are an ideal warmup before hitting the Enduro Trail. The Training Park is open to all and suited to quad riders and 2 wheel riders. An ideal starting point for beginners, if you are an inexperienced rider you can start your day in the Training Park to learn the basics of accelerating, braking and turning. The 10 kilometre Enduro Trail will put you to the test and is suitable for dirt bikes and quads. Twisting and winding through the remainder of West Moto Park’s 1000 hectare property, you’ll ride through bush tracks, along fast straights, around dams and come out the other end wanting to do it all again. Situated in 5 acres of natural bushland, our campground features a modern toilet block with separate toilets for ladies and gentlemen with a dedicated disabled access toilet. Hot showers are available and all of the water is clean and drinkable. We invite visitors to bring swags, tents, caravans or motorhomes and their own generator if they require power. You can enjoy sitting around the campfire* toasting marshmallows after an enjoyable day of riding and we have a number of barbecues available for use. Our cafe is situated next to the campground with a selection of cold drinks, sweets, pies, pasties and sausage rolls available for purchase, with hot coffee and hot chocolate made to order. Our shop also stocks a range of spare parts for your dirt bike and quad including oils, levers, tyres and tubes. Sorry, but we are unable to allow pets in the park for safety reasons. * Subject to permitted campfire periods. Contact us for more information. Throughout the season West Moto Adventures operate a number of coaching sessions designed for anyone who wishes to improve their riding skill. Looking to move to a larger adventure bike for some touring? Have some off-road experience on lighter bikes and would like to learn the safer way to ride a large adventure bike? West Moto Adventures have the training course for you! West Moto Adventures seeks to provide the best possible motorbike coaching to each individual rider. We cater for all riders and skill level, ranging from new beginners, trail riders, motocross racers and national motocross competitors.